The fifth in our "Keep your friends close" series. 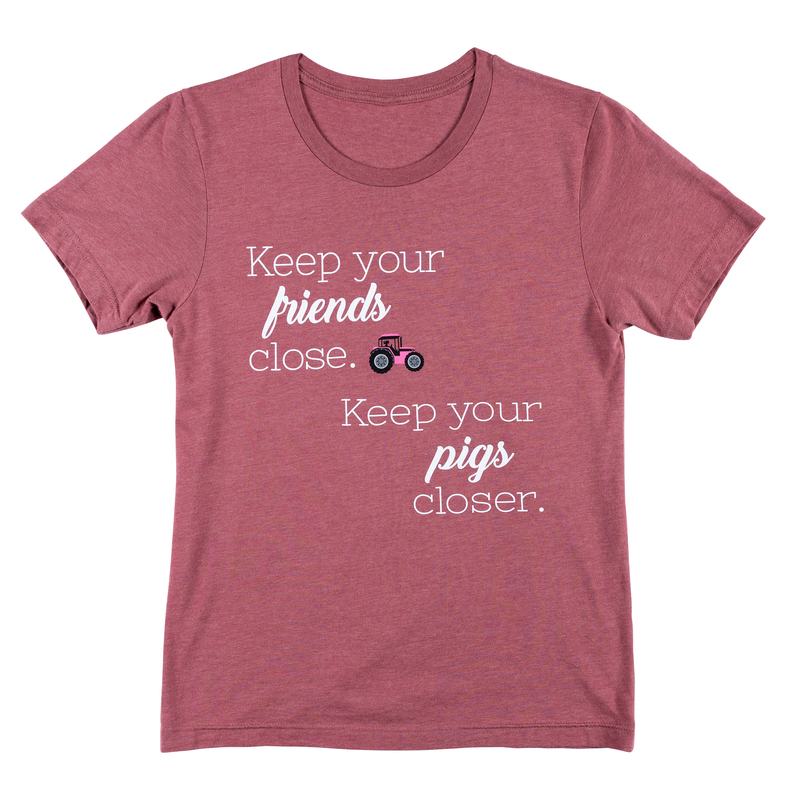 This super soft shirt is a rosy mauve color and made of 48% polyester and 52% cotton. All of our shirts run a little large. We've put them through a low heat dryer with no problem and find that they do not shrink. You may want to go down a size if you prefer a tighter fit.